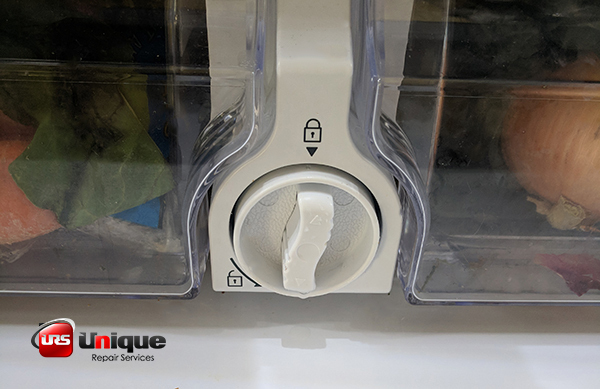 Have you been ignoring the Change Water Filter Indicator on your Samsung refrigerator for a bit too long? If so, don’t wait any longer! Follow these easy step-by-step instructions on how to change a Samsung refrigerator water filter. Changing your Samsung water filter is important for the health of your family & your refrigerator! A clean water filter on your Samsung french door, four flex, or side-by-side refrigerator can make a huge difference in your water quality. Plus, maintaining a clean water filter prevents sediment buildup that can lead to a water dispenser or ice maker repair problem down the road. Samsung has made it simple to change your water filter without technical expertise. Here are step-by-step instructions to get you started. We recommend purchasing the Samsung Factory Water Filter. Avoid the knock-off brands, if possible. They may be cheaper, but the quality is not comparable. The Samsung Factory Water Filter can be purchased online on Amazon, usually with next day delivery on traditional Prime or with Free 2-hour delivery on Prime Now. For future purchases, we recommend joining the Amazon Subscribe and Save program. Schedule your water filter to automatically ship every five months so you never have to worry about an outdated filter again! You can also check local stores like Lowes, Home Depot, or an appliance parts store near you. Step 2: Verify you have the right part! Refrigerator water filters are model number specific, meaning you have to have the correct filter for your refrigerator–not just any water filter will do. WARNING: Make sure you have the correct filter before opening the package. Once you install the water filter, it cannot be returned. 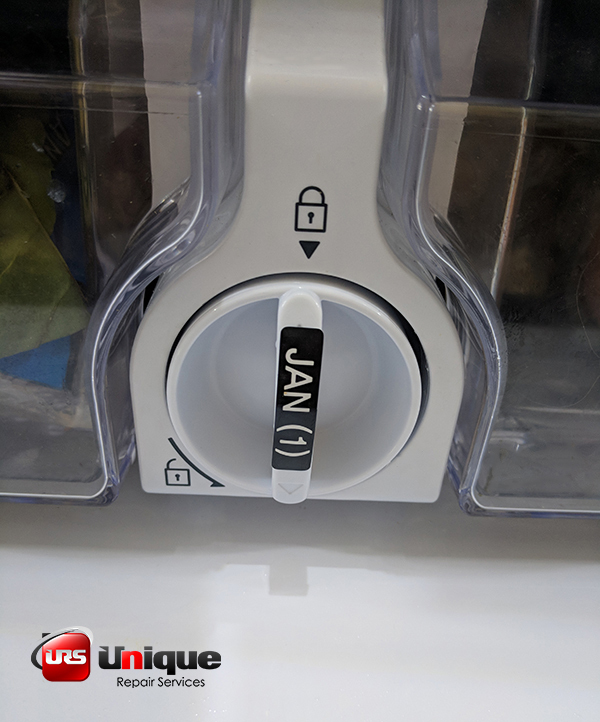 Most Samsung french door, four flex, and side-by-side refrigerators use water filter part number DA29-00020B (pictured below), but use the refrigerator model number to verify the correct filter for your product before making the purchase. 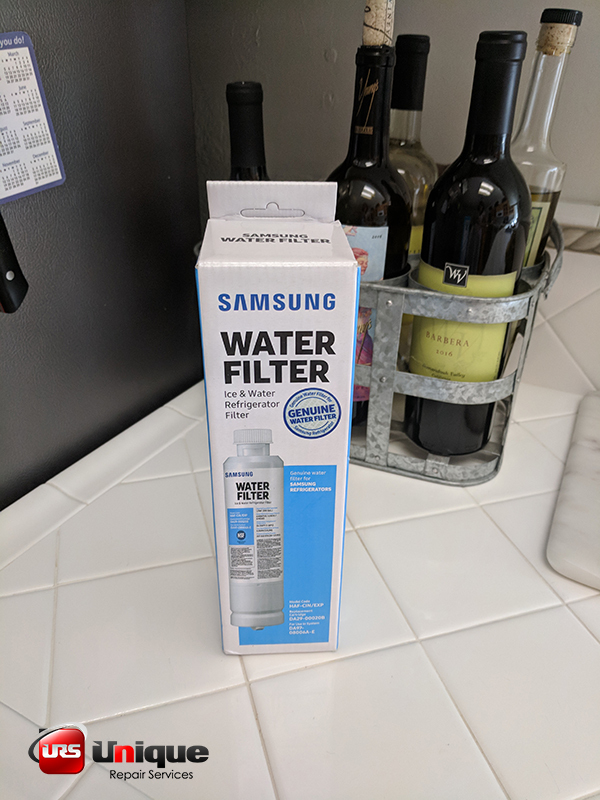 Your Samsung water filter will come with a new water filter, instructions manual, and filter expiration date reminder stickers. Step 3: Locate the Samsung Water Filter on Your Refrigerator. The water filter location depends on your Samsung refrigerator configuration. 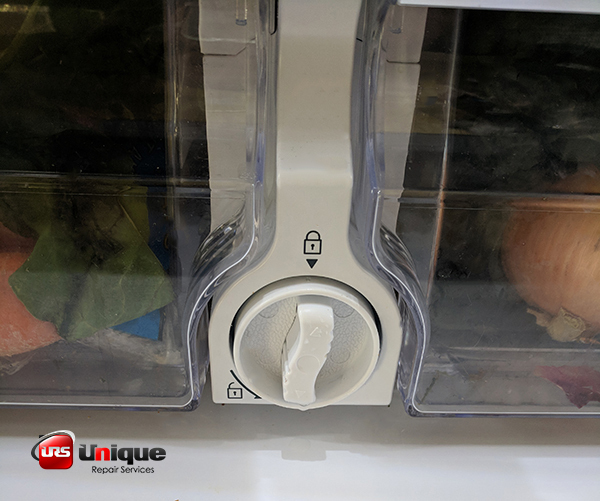 The water filter on French Doors & Four Flex models is located between the produce drawers on the french door fresh food section (as pictured below). 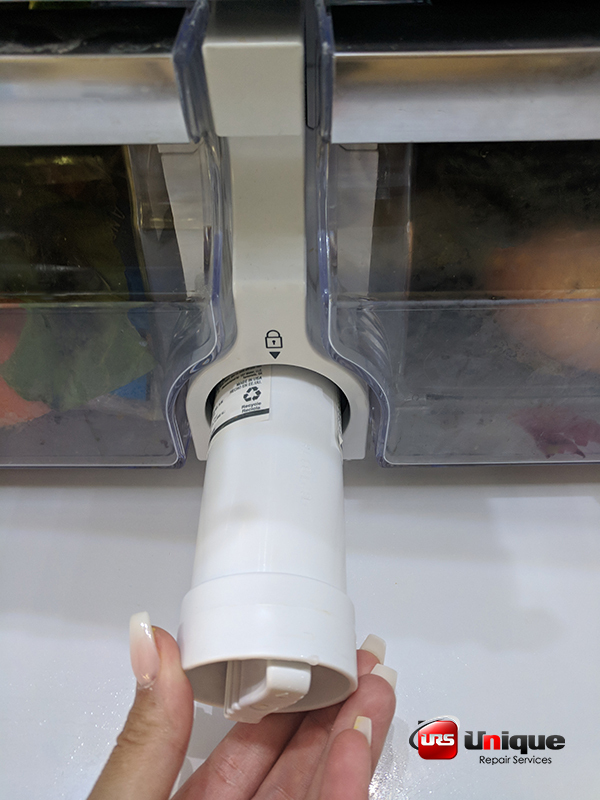 The water filter on a Samsung side-by-side refrigerator is located in the fresh food side on the right-hand side of the bottom drawer. To install the water filter, turn the filter knob to the left-hand side. It takes about 1/4 turn to release the filter. You should be able to remove the filter without turning off the water supply. If the filter won’t release, carefully pull your refrigerator forward and turn off the main water supply. Install the new filter by screwing it into place with a 1/4 clockwise turn. You may hear a pressure noise when the filter locks in place; this is normal. Count 6 months ahead and place the correct sticker on the filter handle to remember when the filter needs to be replaced, as pictured below. Run 1 gallon of water through the filter. You may hear some air in the lines for 3-5 seconds. This is normal. Discard the water. 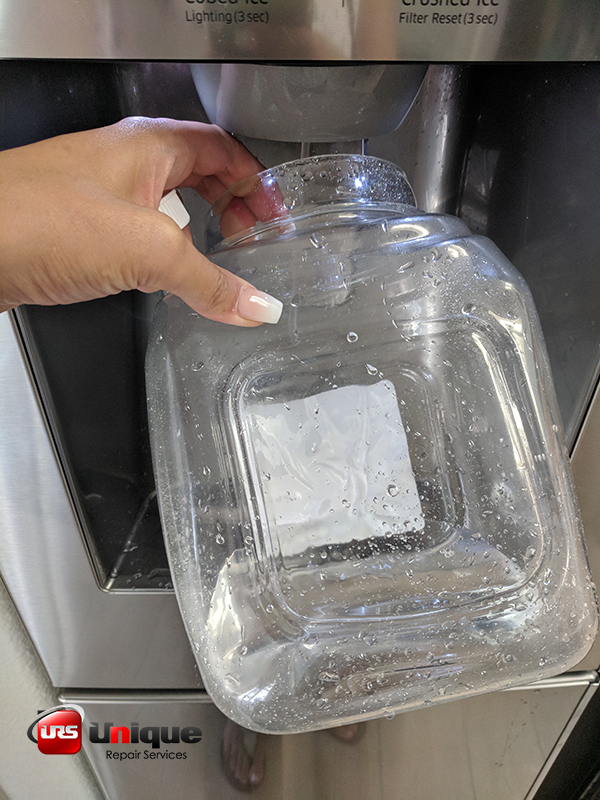 Now your water dispenser is ready for use! 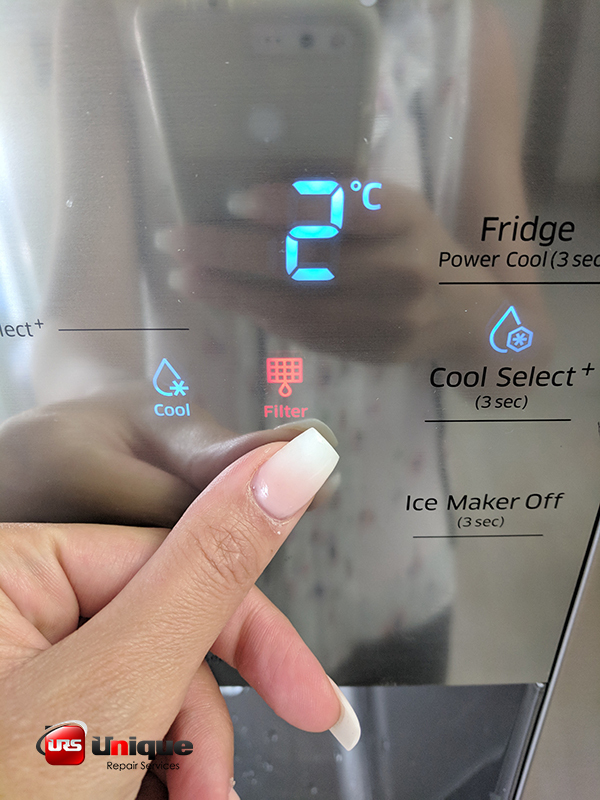 Reset the Change Water Filter Indicator light by holding down the Crushed Ice button for 3 seconds. Need help with your Samsung refrigerator water dispenser or ice maker? Contact Unique Repair Services for Samsung Certified Care on your refrigerator. Leo is the President of Unique Repair Services, an appliance repair company with locations in Wisconsin, Illinois, Michigan, Tennessee, Indiana, and Minnesota. 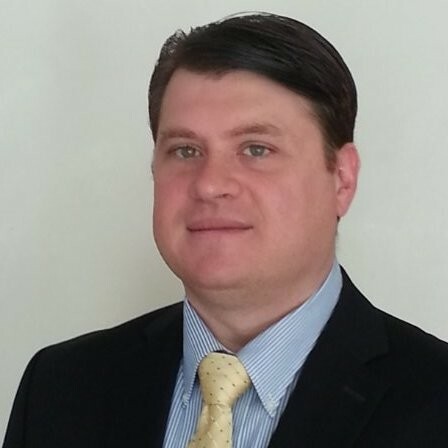 He has more than 25 years experience in the appliance repair industry.